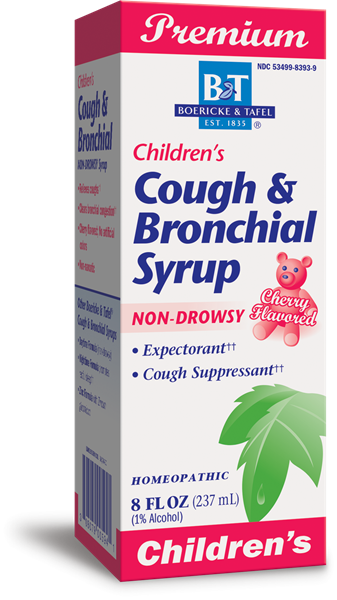 Children’s Cough & Bronchial / 8 oz - Nature's Way®. Children 6 to 12 years of age: Take 2 teaspoons (tsp) (10 mL) every 2 hours. For severe coughs, repeat every 20 minutes for first hour, then every 2 hours. Stop use and ask a doctor if: new symptoms occur, symptoms worsen or do not get better within 7 days; fever worsens or lasts more than 3 days; cough lasts more than 7 days or occurs with rash or persistent headache. These could be signs of a serious condition.